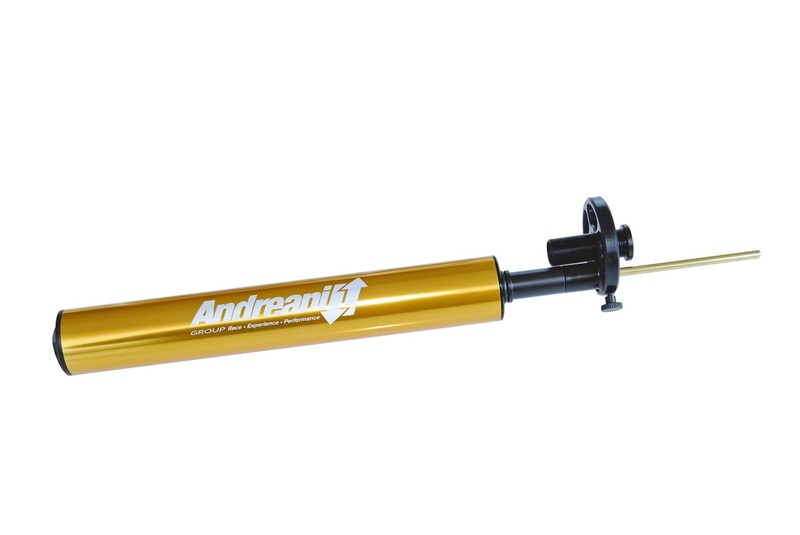 Thanks to its Thirty years experience in the Suspension Industry, Andreani Group has developed a series of Tools and machinery to let Suspension Workshops work in a effectiveness and professional way, on every kind of suspension. Made using the best materials available on the market, the tools are available singularly, as complete kit or as Packages divided in: Universal ToolBox, track/Street Package and Off-Road Package. To allow all the shops and specialized centers to have all the tools for overhaul and service the most popular MTB forks and shock absorbers, Andreani Group designed an exclusive work bench with no competitors on the market. Completely manufactured in stainless steel, the cart is provided of four sliding drawers in different sizes, containing over 50 tools, and a strong CNC machined aluminum clamp adjustable in height for a more comfortable position during work, and provided of soft rubber protections; a side oil collector tank holder is available as an optional.